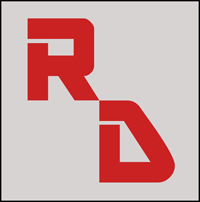 RCDC Web Design would be pleased to be your website designer. Our services will be of particular interest to clubs, organizations and families looking for a small web presence with minimal hassle and expense. We are located in Prescott, Arizona with a record of successfully assisting local clients and organizations with a range of website services. We specialize in small-site services including website creation, hosting transfer, maintenance and support. Other available services include digital photo editing as well as logo and masthead design. I'm a firm believer in allowing my clients do whatever they wish to maintain their own site and learning as much as they can about website creation and maintenance. However, I realize that many people simply don't care to know what goes on under the hood. Or they may be just too busy to become involved at this time. As a result, I'll be glad to help you learn as much as you want to about maintaining your website. If you are interested in doing some or all of your own website work, you have come to the right place. As you can see, I'm certainly encouraging you in this area and I'll be glad to assist you in any way possible. Granted, it is more difficult to create a site than it is to maintain one. Having said that, you shouldn't feel that it's beyond your abilities to do routine editing such as schedules and other routine changes. If you wish, I'll be glad to get your new site up-and-running and then turn matters over to you. If this form of website design and service is what you're looking for or you just want to find out more about having your own website, please contact me today. If you're interested in a computer club in the Prescott and Prescott Valley (Arizona) area, please go to the Prescott Computer Society's website for their schedule. I am a long-term member of PCS and support them in many ways. I am their Webkeeper, presenter at Special Interest Group meetings, newsletter editor and A/V technician. If you live in or near Prescott, Arizona or are just visiting the area, I strongly urge you to consider attending some PCS meetings. We'll be glad to see you there!